Note: I am NOT any type of “expert” in this field. This is NOT advice for women who are dealing with diagnosed or even undiagnosed fertility issues. I did not intend for this to offend anyone or to paint myself as any type of professional in this matter. Be sure to discuss with your doctor any fertility questions or issues you my have. I have responded personally to all comments on this post and have also posted a blog entry in response to the comments, you may read that here. From now on any negative comments will be deleted from this post. Zach and I have been very, very blessed with easy conception experiences. I’ve known and read about so many women who are not as fortunate as we have been in this department and my heart truly goes out to each of them. I cannot imagine going through negative test after negative test and I pray that each woman who desires motherhood is able to receive that precious gift! Just because we have had an easy time getting pregnant with each of our children doesn’t necessarily mean we will have an easy time with future pregnancies so I fully intend to practice what I preach here!!! Here are some tricks we have used during the “trying” phase. I’m in no way claiming that they work. Or that you’ll get pregnant easily by using these tips. Us getting pregnant so quickly could be due to many reasons, one or all of these may have helped in that process or none of them may have helped at all. But, it doesn’t hurt to try ’em, right? I’ve heard various thoughts on this. I was told at my dr office to be off the pill for 3 months prior to trying to conceive to make sure all of the hormones were completely out of my system. I’ve also heard people say that you’re more fertile right when you come off the pill so to try right away. Personally, I’d recommend the waiting thing as I don’t like the idea of any funky hormones being in my body when I get pregnant. Mouth issues (teeth and gums) have been linked to a TON of problems with babies. I actually got my wisdom teeth pulled prior to trying to get pregnant the first time just because I didn’t want to risk any potential issues down the road. It’s important for BOTH the man and woman to take vitamins and be in best possible physical health (lose that extra weight before trying to get pregnant rather than assuming “I’m going to be pregnant, why bother?” and it’s important for your man to be in good physical shape too! Advocare has helped me lose my baby weight and will continue to help both Zach and I maintain healthy weights before our next pregnancy!). I always feel bad when I find out someone is pregnant and I didn’t get the chance to tell them about adding Aflac policies! Aflac is supplemental insurance that pays you CASH. There are SEVERAL great policies that pay for pregnancy and childbirth (hospital, short term disability, just to name a few…). The money you get from your claims when you have your baby can help pay those deductibles for your maternity benefit or cover other expenses (like for us we use it to cover our costs for Zach missing work when I give birth). It’s something majority of people don’t know about or think about utilizing but you MUST sign up for policies 10 months prior to giving birth so this is something to plan in advance! Obviously, this isn’t something you have a TON of control over. But I do believe that the fact that we started having babies at a younger age (I was 25 with my first and 27 with my second) made a HUGE impact on our ability to conceive. It’s been proven time and time again that the older you are when you start trying to conceive the more likely you are to have issues with the process. I’m not saying run out and get knocked up b/c your time is ticking or something but I’m just saying if you’re married and debating about when to start trying to conceive, sooner is better than later! Again, this is one of those things I’ve heard different opinions on but we were told to try to conceive every other day for the entire month. We were told if you do it every day that the sperm can lose strength and stamina. In another tip regarding his swimmers…it’s not been proven that wearing tight clothing can lower sperm count, but why risk it? Boxers or loser fitting underwear are an easy switch for him if he doesn’t wear them already! I’ve heard that the morning time is the time of the highest sperm count BUT I personally think before bedtime is the best time b/c the longer you can lay on your back afterward, the better. So why not just go to sleep??? I know some people say it won’t help, but I think it just might, and it’s one of those things that’s so simple why not just try it? After the deed is done I will prop a ton of pillows under my legs and keep them elevated for as long as I can. As far as “positions” go it is best to try to end things with the woman laying down to better help things flow in the correct direction to get pregnant! With both of my trying to conceive times thus far, I used my calendar to track my cycle. I always had a pretty legit 28-day thing going on so it was easy. On the days the calendar said I was ovulating (14 days after Day 1 of my period) we’d do it every day rather than every other day. You should also check out these tips for understanding your fertile window from One Sharp Mama! I didn’t do them when we were trying to get pregnant the first time around, but I did the second time. I bought the Target brand pack of them and only used them when I knew I was close to my ovulation time (if you’re unsure of yours you may want to use them daily!). 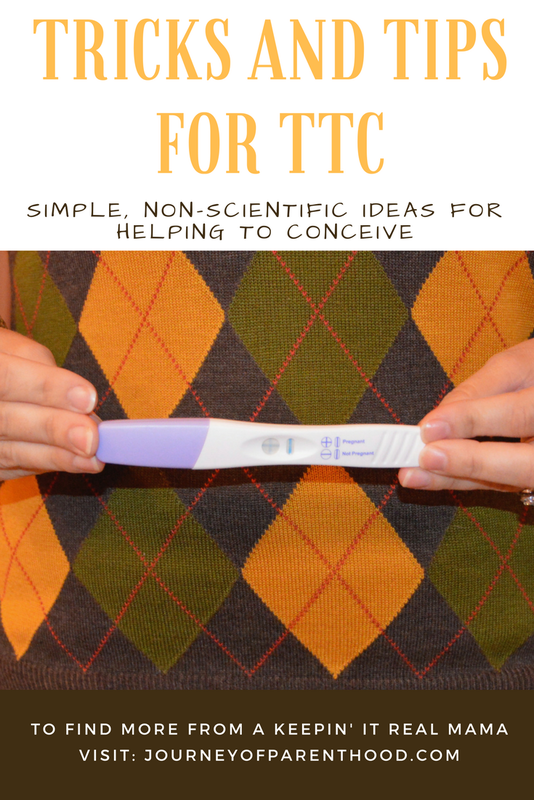 On the day I got a positive ovulation test we tried to conceive and got pregnant with Britt! When you get a positive test you want to do it every day since that’s the time of the month you are most fertile! Also, you will get a positive ovulation test 48 hours before you are actually ovulating so be sure to do the deed daily for a couple of days afterward as well. No one. Especially not family! I was nervous (both times!) that we’d struggle to conceive and the LAST thing I wanted was a bunch of people knowing we were trying and asking us about it all the time. Hello…that’s a LOT of unneeded pressure on the situation!!! Plus it makes it a WHOLE lot less fun to surprise them with the announcement! It’s hard not to talk about it non-stop. It is. But I think it helps in the whole situation to NOT discuss it much. Zach and I decide a time to “start trying” and follow all of these steps without really talking about it a lot. We don’t lay there and say “we’re making a baby!” or talk the whole situation to death about plans for the baby, if I think I’m pregnant, etc etc. I try super hard not to even think about it. ENJOYING the process is IMPORTANT!!! How many times have you heard of a couple who tries and tries to get pregnant then end up adopting and BAM! get pregnant? I’ve heard of it happening SO many times. Don’t you think a lot of that has to do with the pressure being off of them? By not talking about it and trying not to even think about it I keep it light, fun, and pressure-free which I think def helps our chances of conceiving rather than stressing about it. Stress is NEVER a good thing, especially when it comes to making babies and all aspects of pregnancy! When I decide to take my pregnancy test I will leave it sitting on top of the toilet seat at night when I go to bed. The best time to get an accurate reading is to test first thing in the morning! Both of my pregnancy tests were light in color but there is no such thing as a “false positive” there are such things as “false negatives” so if you get a negative test and don’t start your period then try again as you may have just taken the test too soon! I was only about four weeks pregnant when I found out with each of my pregnancies. While it was exciting…it was also hard b/c we had to wait so long to tell anyone!!! I’ve had friends struggle with conception. Miscarriages. Other fertility issues. Thankfully the majority of them have been blessed with healthy babies! Somehow, someway I pray that you will get the baby your heart longs for. I can’t imagine waiting and how hard that would be, but I do fully believe in God’s perfect plan and His perfect timing. With our last pregnancy, we were specifically trying to conceive a girl. You can read the tricks we tried during that time HERE. In the future, we’d like to have one more of each and if we end up trying tricks for a boy at some point I’ll be sure to post those as well! So far we’ve been very blessed to get pregnant the first legit months that we tried (we loosely tried to conceive our second baby but didn’t get pregnant until the month we were legit trying). I pray we continue on this trend when it comes time for baby #3 and #4 someday! I’m not in any hurry right now though, but hope this post may help those of you are ARE in the baby making stages!!! 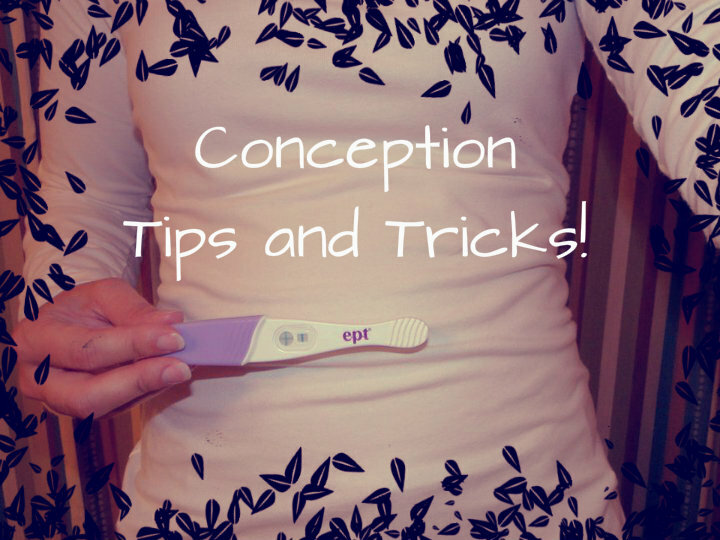 What conception tricks have you tried??? What has worked for you??? Anything I left off my list that could help??? Next Post Stevie’s 5th Birthday Party! I actually find this comment below more offensive than the article. While the article was a bit hard to swallow for me, a person struggling to conceive, I understand that it is one person simply sharing what worked for her. I ended up her because a friend of mine pinned it so obviously she read it it, enjoyed it, and felt it was relevant, and I can appreciate that. But Rachel's comment below….might I suggest to you looking deep into yourself and search for compassion for your fellow man. I know that The ladies who posted and are struggling with infertility aren't "miserable". They are disheartened, disappointed, saddened. "easy to be bitter because you don't have that little baby yet". Are you serious? You are right though…God is in control but I doubt that he had anything to do with the ugly words that you wrote. Jesus spoke of compassion and helping those who struggle….pray for those who struggle with infertility, don't judge. Stop being a big freakin baby and stop feeling sorry for yourself. It's HER blog so stfu. Obviously your sad so go see a therapist because there's actually people that think this is a very supportive article that are for people who are trying NOW with no medical issues. This article is not offensive. She's not supposed to be happy that it was easy to conceive? That's completely ridiculous. My daughter is 7. I have secondary infertility. It's horrible. I don't wish Amy kind of infertility on any woman. This lady should NOT feel bad that it was easy for her. She's not suggesting that if everyone tried her tricks, the world's fertility problems would be solved. Calm down and quit being a holes. What worked for us after 2 years was quitting smoking, eating clean, and working out 3-4 days a week for 30 minutes. This only took about 3 months. My husband and I BOTH did this. We still got pregnant even after finding out mu husband had a low sperm count. 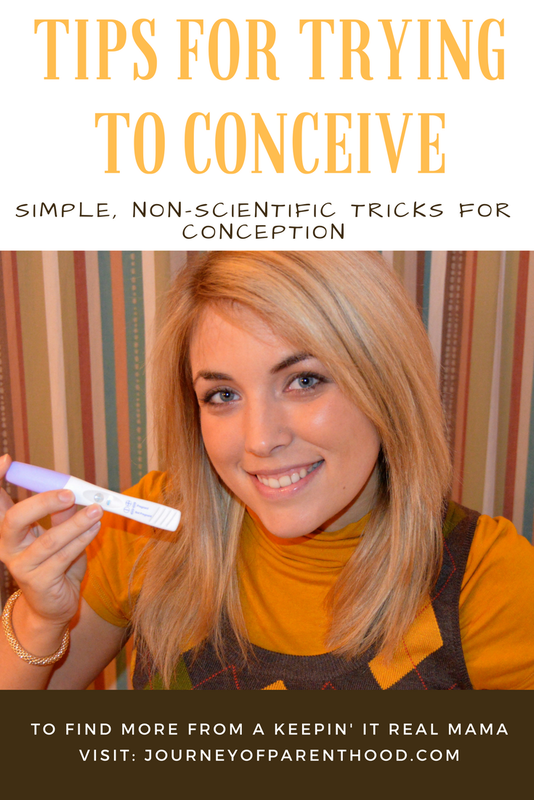 I have been trying to conceive for 5 years – yes YEARS – with no luck. I did NOT find this article offensive. It is merely Emily's opinion and the things that worked for HER. It doesn't make her wrong. I'm sure there are other articles that are much more medically supported, but this is her blog. She's entitled to her opinions. If you don't like what she has to say, then create a blog of your own. But don't attack her or others. As a person who has had to watch friend after friend conceive and give birth, I can honestly say that I've been to the point of miserable, desperate, hopeless, and even jealous. But Emily is right. God has a plan for everything. I was adopted myself and couldn't be more grateful. I have come to realize that perhaps I was meant to adopt, as well. But attacking women who have been successful in conception won't change your own personal situation(s).